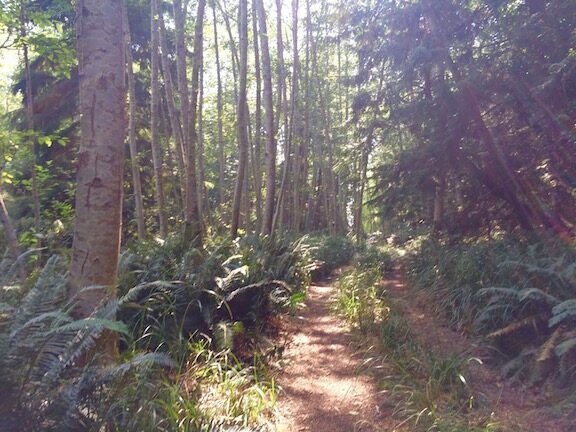 SUNSET TRAIL | "All About Savary Island"
Originally the footpath from INDIAN POINT to THE MEADOWS, THE SUNSET TRAIL is now a stable community of residents & Summer residents who have been coming for decades. It is the only South facing beach front that is developed on Savary. There is some sandy, and a lot of rocky beach. There is a sand bar that projects from the meadow end, that is quite wonderful in The Summer. Visible to The West between Savary & Campbell River is Mittlenatch Island, A Provincial Park. in Sliammon, Coast Salish & Kwakiutl. "CLINK"
"WHERE IS RODGERS ROAD ?" IT'S AT THE FAR ( WESTERN) END OF VANCOUVER BOULEVARD. AT HERCHMER ROAD YOU GO RIGHT FOR INDIAN POINT, OR LEFT FOR SUNSET TRAIL. RODGERS IS THE BIT THAT CONTINUES AHEAD, HAS ABOUT ONE VEHICLE A MONTH MAX DRIVE DOWN.